A new documentary about PJ Harvey is to premiere at the 2019 International Berlin Film Festival. A Dog Called Money is directed by the photographer, filmmaker, and frequent Harvey collaborator, Seamus Murphy. 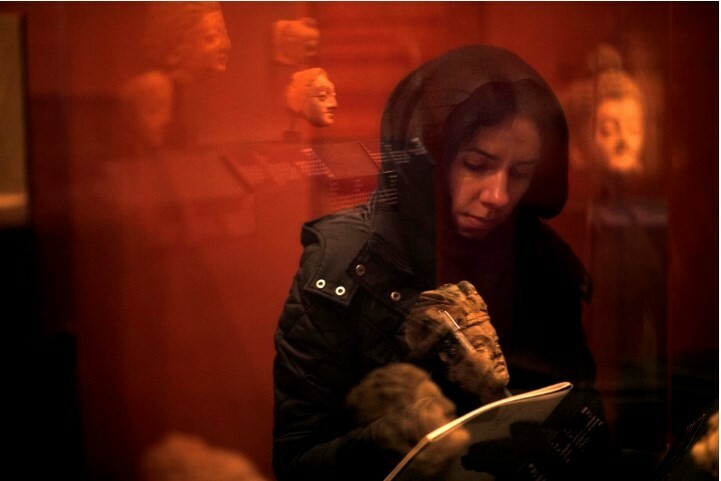 The film follows the creative process behind PJ Harvey’s 2016 album, The Hope Six Demolition Project, as well as the pair’s adventures in London, Afghanistan, Kosovo, and Washington, DC. Produced by Pulse Films, in partnership with Blinder Films and JW Films, the documentary is an Official Panorama Selection at Berlinale 2019, taking place from February 7-17. The pairs’ previous collaborations have included a trio of music videos for “The Orange Monkey”, “The Wheel”, and “The Community of Hope” from The Hope Six Demolition Project. Harvey's 2015 poetry book, The Hollow of the Hand, also featured accompanying photographs from Murphy. In September this year, Harvey was confirmed to score Ivo Van Hove’s stage adaptation of 1950 film All About Eve. The play of the same name runs from February 2019 starring Lily James and Gillian Anderson. Listen to Harvey’s latest release, from the soundtrack to the 2018 British thriller Dark River, below.